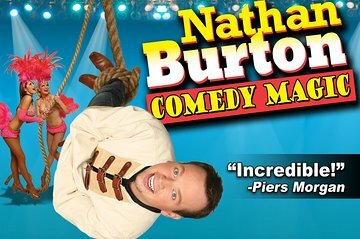 Nathan Burton blends illusion, showgirls and comedy into a family-friendly show at the heart of the Las Vegas Strip. Join an all-ages crowd at Planet Hollywood Resort and Casino, and let Burton work his on-stage magic by reading minds, disappearing ladies and keeping the Sin City spirit alive with fun and flair. It’s a great way to begin your evening in Vegas!